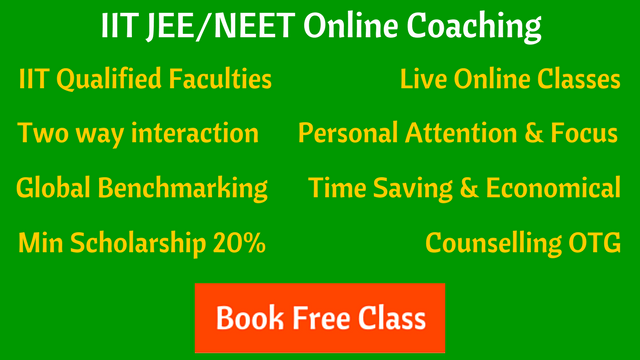 How to Choose Coaching Institute for IIT JEE and NEET? How to Choose Coaching Institute for IIT JEE and NEET? How to Choose Coaching Institute for IIT JEE and NEET? Choosing a coaching institute for IIT JEE or NEET is a major decision for students and their parents. In the past, there were only physical coaching institutes, but now with availability of digital platforms, students are preparing for JEE and NEET in online mode also. 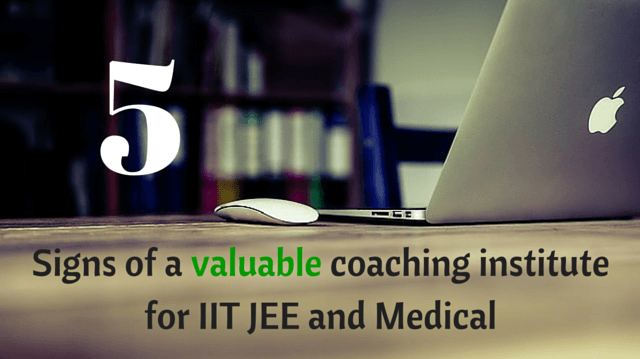 How to Choose Coaching Institute for IIT-JEE and NEET? There are thousands of coaching institutes (small and big) for IIT-JEE and Medical entrance exams in all major cities in India. Kota alone have around 200+ coaching institutes. Whenever these coaching institutes display their successful results every year, one thing they never disclose is the number of total students who took the coaching from them. We all know this, higher the number of students taking coaching, more are the chances of showing successful results. Students and parents are realising, it’s the quality of the classes and the value that a coaching institute provide to its students, is what matters most. Results can be fabricated, the money can be used for huge advertisements, more media space can be purchased, but the value is something which is not bound by size. So it’s very important to choose a valuable coaching institute for IIT-JEE and NEET. Coaching institute not understanding a student’s pace of learning. Coaching institute not telling a student how he/she can improve his/her individual performance. Coaching institute limit the best faculties to top batches only. Coaching institute don’t provide personal counselling along with the course. Coaching institute is not what it’s been projected, it’s manipulating results. My take is that these are five strikes against low value coaching institutes, but the opposites of each of these then would be good signs of a truly valuable coaching provider. So here are my five signs, five characteristics of a highly valuable coaching provider. 1. A great coaching provider understand the psychology of a student. Every student have different learning abilities. Some of them are fast learners, some takes a little time to understand things. Some students are not comfortable studying in a batch and prefer one to one classes. A great coaching institute is fast in recognizing the personality of a student. Is he/she an introvert? If yes, they change the teaching strategy to be more suitable for introvert students. A top coaching institute can never be a great coaching institute for every student. Can you imagine a reputed coaching institute providing one to one coaching to you, unless you offer them 50 times more fee! 2. A great coaching provider analyze the individual performance of a student. In a top coaching institute, on an average, there are 100-120 students in a batch, so the only way to judge the performance of a student is through weekly or monthly tests. And the criteria to judge the performance is only marks, avoiding other factors that may be hampering the student’s performance. A high value coaching provider continuously monitor the performance of a student. It find the areas where a student is lacking and needs to focus more, and communicate the same to parents. The coaching provider then give suggestions to make improvement and then along with parents support they try to enhance the performance of a student. 3. A great coaching provider don’t differentiate between its students. Every big coaching institute have Top Batches. The well performing students are placed in top batches and they get the best of the faculties. They are the one who are most likely to clear the JEE and NEET exams. Students who perform good in lower and average batches can be moved to top batches. The questions is, Is it a right way to provide coaching? If you don’t give the opportunity to average students to learn like top students, how can you call yourself a great coaching institute? It’s not like they are paying less fee, then why can’t they get the best teachers? I have also heard of students complaining that teachers are not professional in lower batches. The students can’t leave because the full year fee is already paid to the institute. A great coaching provider don’t show partiality between its students. 4. A great coaching provider provides personal counselling to its students. Students can face a lot of problems, not all are going to be academic. Sometimes it’s about feeling low, getting the pressure and anxiety of exams. There can be incidents of bullying also, and the problems outside the coaching which are making them depressed. These things are very important as they can sometimes force a student to take unfortunate steps. It’s important that students behaviour is monitored regularly. He/She scoring marks, fine, but is there something which a student is hiding and not able to tell others. A great coaching provider is always available for its students in solving their problems. 5. A great coaching provider have high ethical standards. Every year after the IIT-JEE and NEET results, there are hoardings and banners of coaching institutes showing successful results in order to lure new students. It’s a perfect marketing strategy. If you are delivering results you must show this to interested students and parents. Since coaching industry is getting huge so is the competition, every institute want to outshine other, that’s where some of them involve in deceptive practices. Half of the top 10 results of ***** institute in 2015 were shown in “distance” category, that means they didn’t took the regular classes from the institute. Ironically, all of these 5 students were regular classroom students of an another institute. Not illegal, but I think ***** have tried to deceive students and parents by claiming those results which belong to another institute. It’s about ethics. A great coaching institute have high ethical standards. How Do I Know Such Coaching Provider Exist? Because I work for one. I wouldn’t write an article like this and publish it on this blog if I didn’t know that Mystudycart is an online coaching provider that exemplifies every one of the qualities I named above. We are new but we have adopted some ethics and standards, and that will not change whether we are giving coaching to a single student or thousands of students. The credit of writing this post goes to Mark Traphagen, one of the well respected person in Digital Marketing. He wrote an article in the above format for a different industry, I have adopted the similar approach and also use couple of lines from his article, with his permission.